Pinterest hopes to raise $100 million in its IPO. The company intends to diversify revenue beyond advertising to include an ecommerce component, to help retailers sell products. In a year that looks promising for tech IPOs, Pinterest has filed to go public on the New York Stock Exchange using the ticker “PINS.” The company hopes to raise at least $100 million, in April. Pinterest began as a digital pin bulletin board for hobbyists. It now positions itself as a “visual discovery engine” and a place where consumers can find inspiration. Significantly, it does not consider itself a social network, downplaying analysts’ tendencies to consider Facebook as a major competitor. Pinterest filed its IPO privately in February and publicly on March 22. Like other tech companies, Pinterest is issuing dual-class shares. Class A common stock will be sold at its IPO with one vote per share. Class B common stock — already owned by company co-founder and CEO Ben Silbermann and several other executives and early investors — will have 20 votes per share. However, Pinterest is structuring the shares in a more democratic version of dual-class stock, providing a sunset provision for Class B stock that will convert into Class A shares seven years after the IPO. The only exception to the conversion is Class B shares owned by anyone who still possesses at least 50 percent of Class B, likely Ben Silbermann. Normally dual class shares give two or three company founders complete control of their companies in perpetuity. Founded in 2010, the San Francisco-based company recorded revenue of $756 million in the year ending December 31, 2018, up 60 percent from $473 million in 2017. The company has nearly doubled its monthly active user count since early 2016, hitting 265 million at the end of 2018. While not yet profitable, Pinterest substantially cut its net loss, from $130 million in 2017 to $63 million in 2018. The company has 1,600 employees. While no advertiser accounted for more than 10 percent of revenue during 2018, a substantial portion of our revenue is derived from a small number of advertisers, and is currently concentrated in certain verticals, particularly CPG [consumer packaged goods] and retail. In its registration filing, Pinterest said that two-thirds of its users are women. It also shared that in the U.S. it attracts 43 percent of all Internet users, which includes approximately 80 percent of women aged 18-64 with children, according to an independent study from Comscore. Roughly 70 percent of Pinterest’s monthly active users is located outside the United States. Most of Pinterest’s user growth is abroad, while most of its revenue is from U.S. users. That means the company must either figure out how to jump-start growth in its U.S. user base or better leverage its overseas users for revenue. The number of Pinterest’s international monthly active users has tripled since the first quarter of 2016. Yet during the same period, U.S. users only grew 20 percent. In the fourth quarter of 2018 Pinterest had 82 million monthly active users in the U.S. and 184 million international monthly active users. Pinterest’s collected, on average, $3.16 in revenue from each of its 82 million active U.S. users but only nine cents from its international users. This might be difficult because of the smaller percentage of male Pinterest users who advertisers in these verticals would be targeting. Pinterest also stated, “We are in the early stages of our monetization efforts. We are focused on increasingly serving more mid-market and unmanaged advertisers and expanding our sales efforts to reach advertisers in additional international markets, with an initial focus on Western Europe and other select markets to follow.” It also intends to concentrate on digitally native brands. Sales and marketing costs increased 60 percent over 2017, reflecting the company’s efforts to sell more ads. To keep advertisers happy, Pinterest has to continually increase the number of users and the activity of its Pinners. It also must ensure that its user demographics are appealing to advertisers. One hurdle the company acknowledges is the lack of maturity in the international digital advertising market. Therefore an alternative the company is exploring is supplementing ad revenue with an ecommerce capability that would add a new revenue source in both geographies. To be more appealing to investors, Pinterest does not want to rely solely on one source of revenue. Ecommerce is a natural progression. It is looking to emulate Instagram, which lets users buy goods directly from other Instagram users via shoppable posts and shoppable stories. Earlier this month, Pinterest hired a new head of engineering, Jeremy King, who formerly held the chief technology officer role at Walmart where he was credited with ramping up the company’s ecommerce efforts. 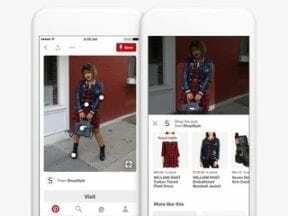 Another indicator that Pinterest is targeting ecommerce is that this month it enabled brands to upload their full product catalog to the platform and qualify them as dynamic Product Pins. Pinterest has cut its losses substantially between 2017 and 2018, unlike a few other companies that intend to go public in the next few months, such as Lyft and Uber. Pinterest is well positioned to go public but must diversify its revenue stream to keep new investors happy.